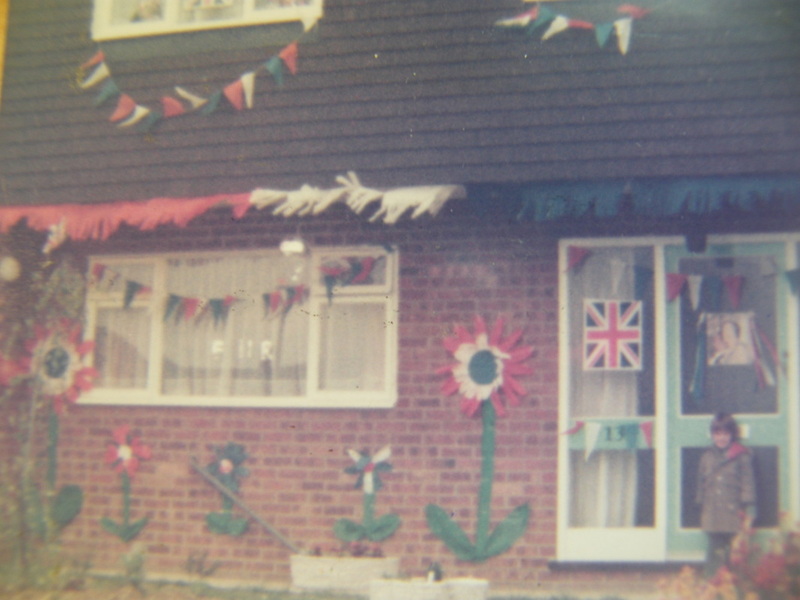 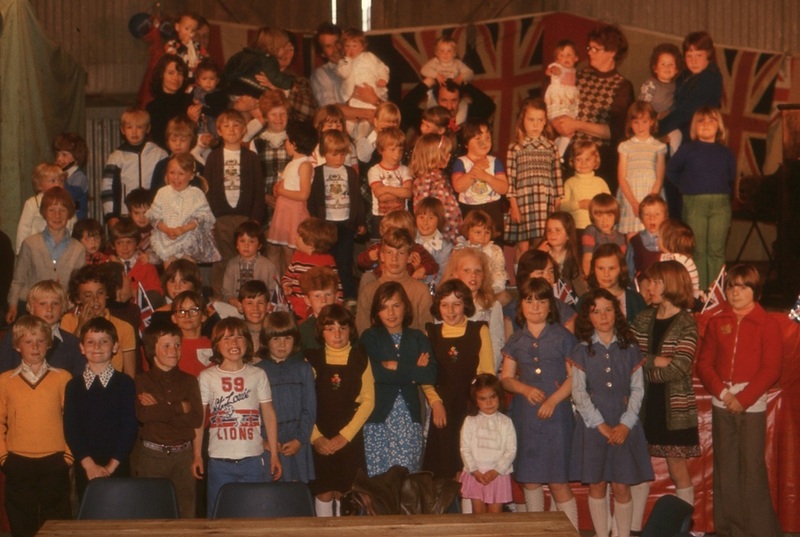 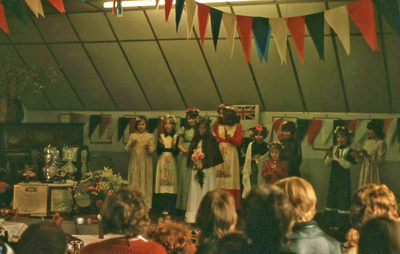 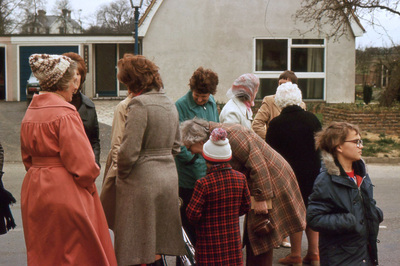 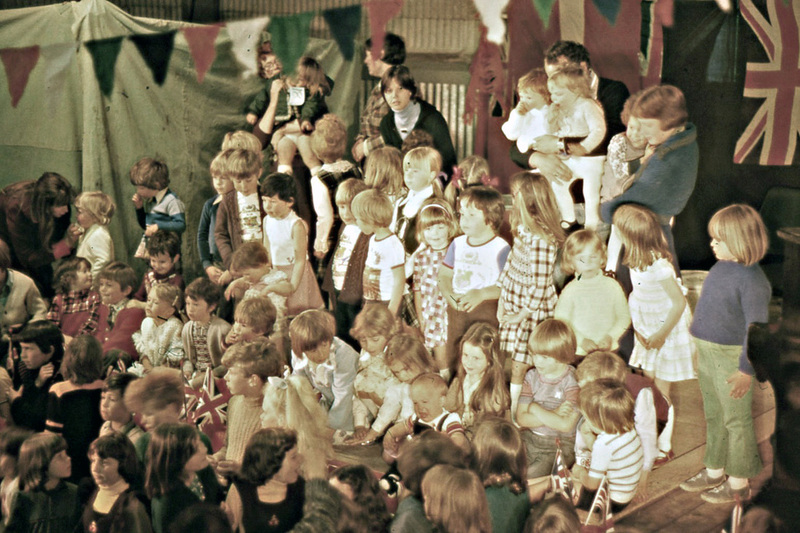 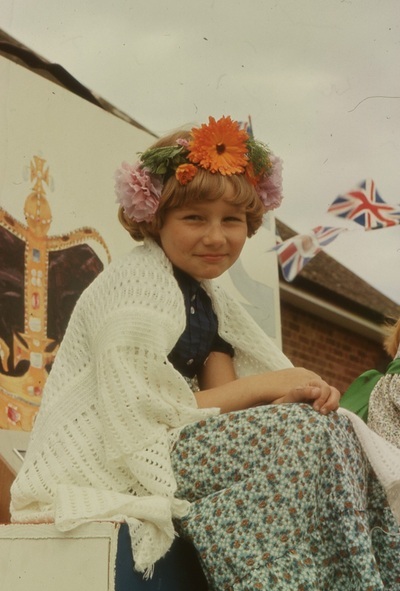 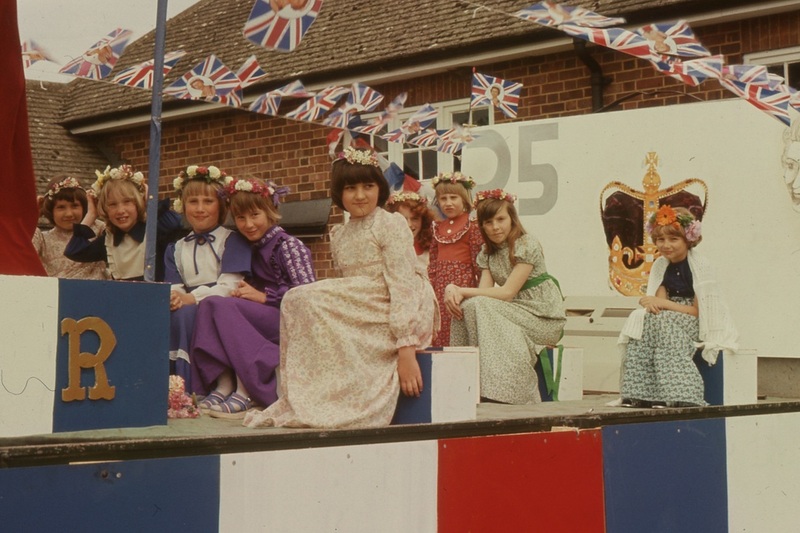 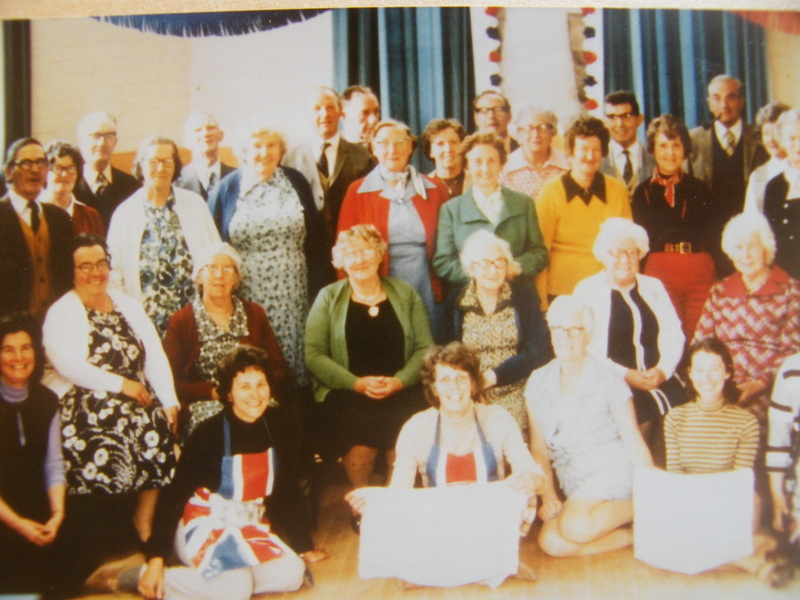 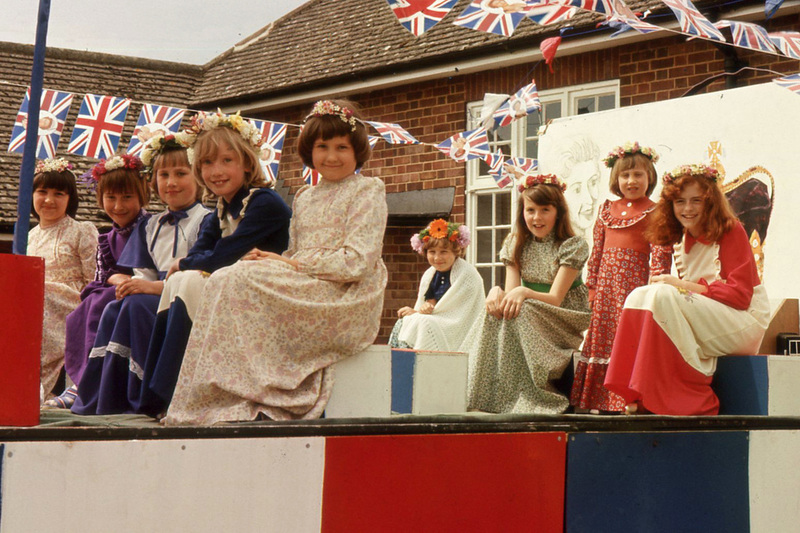 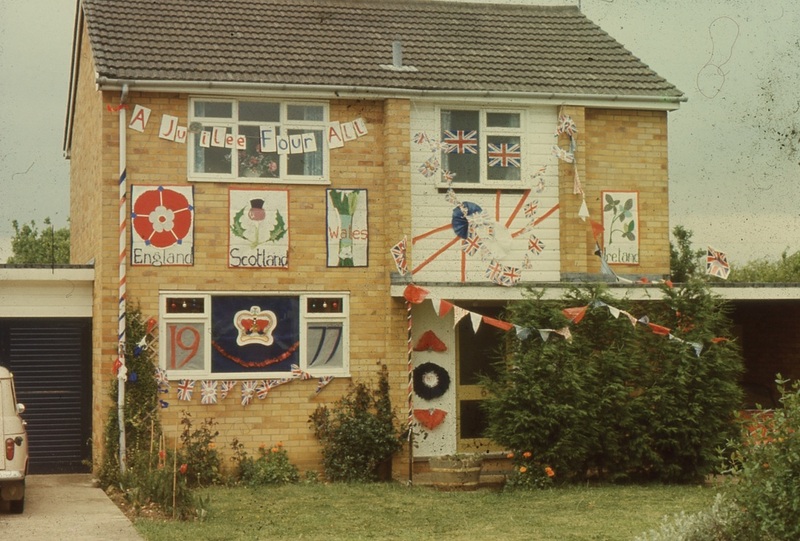 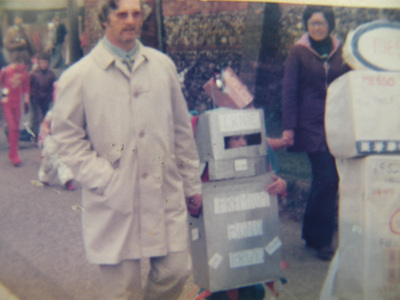 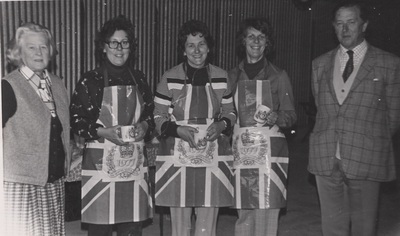 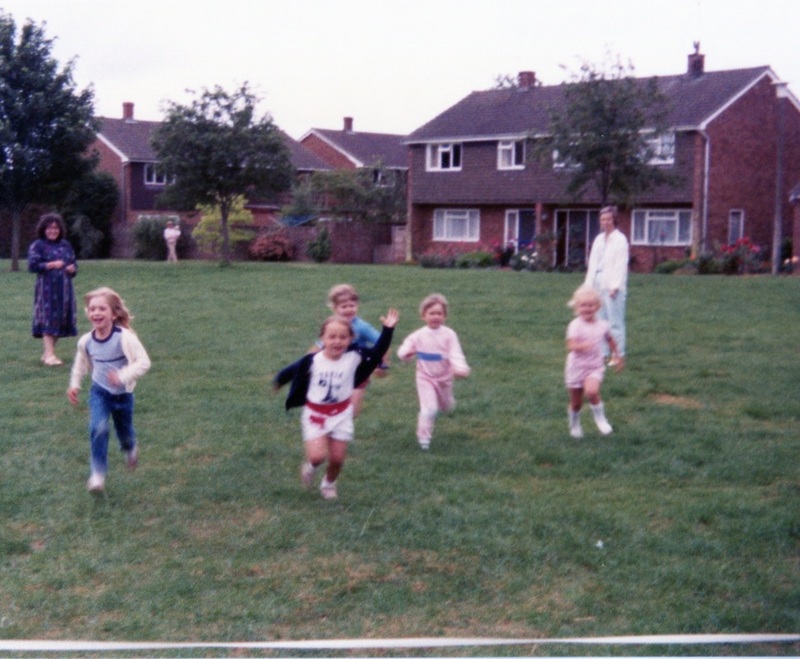 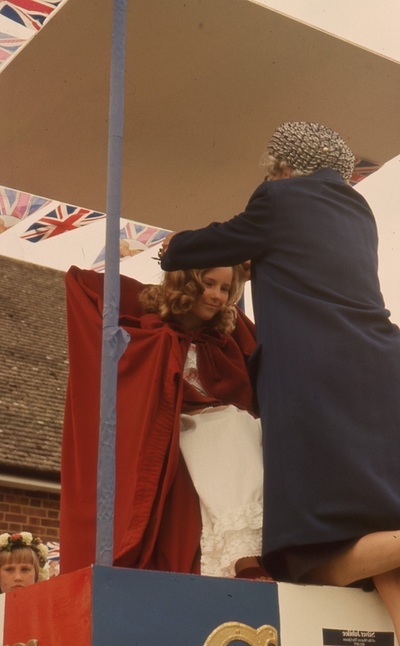 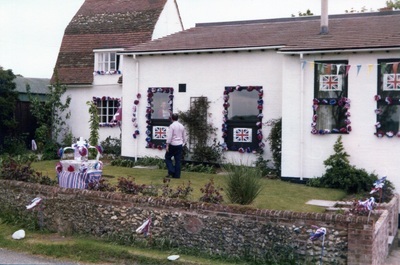 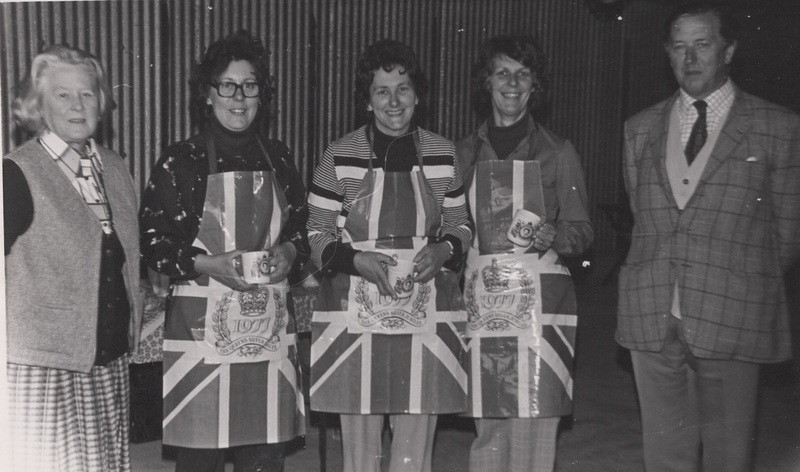 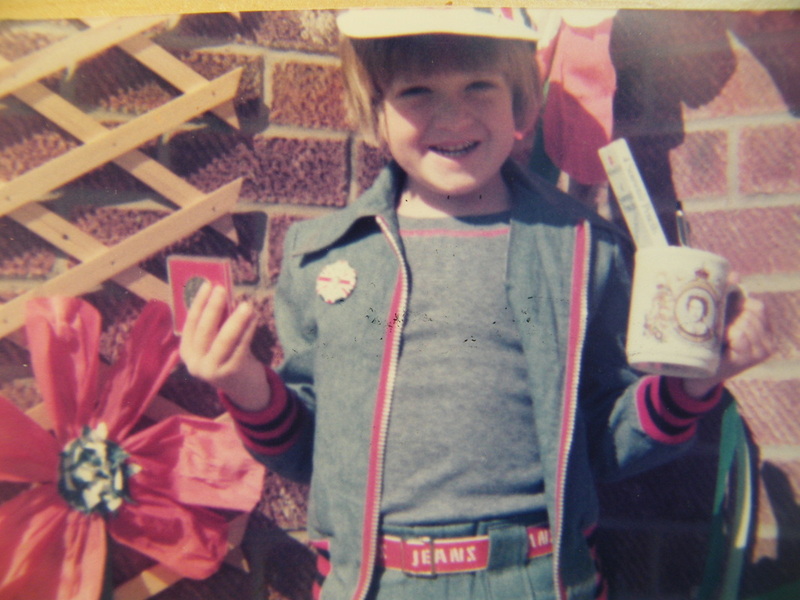 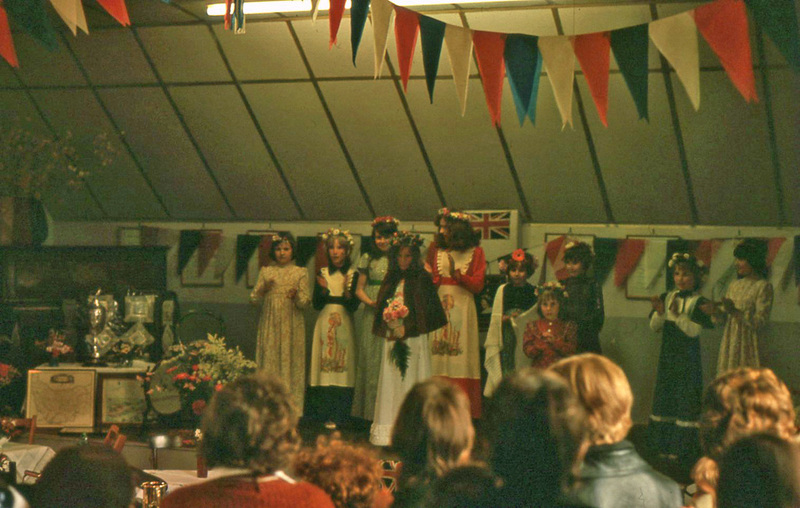 At an Open Meeting held at the Village Hall on 22nd November 1976, initial preparations were made to commemorate the forthcoming 25th Anniversary of the reign of Queen Elizabeth II. 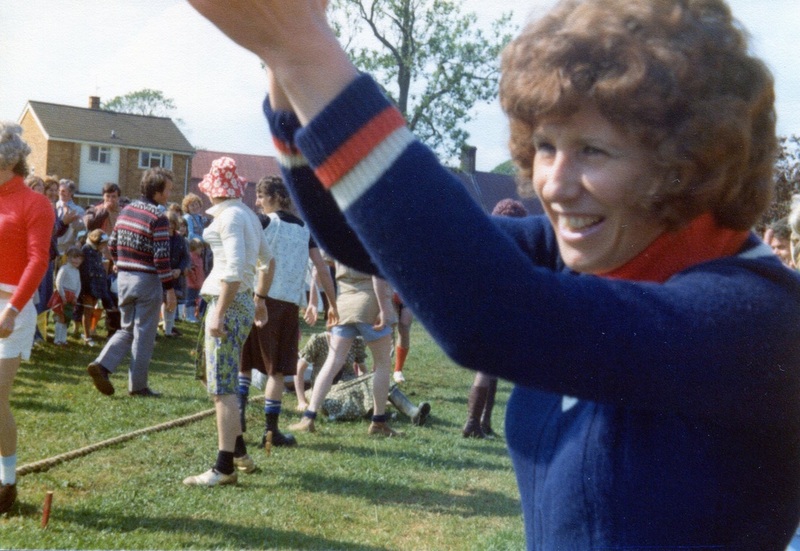 In the following months, various meetings and fund-raising events were held to finance what, for a small community, would prove to be a memorable 2-day programme of sports, competitions and merry-making following the Thanksgiving Service on the Sunday. 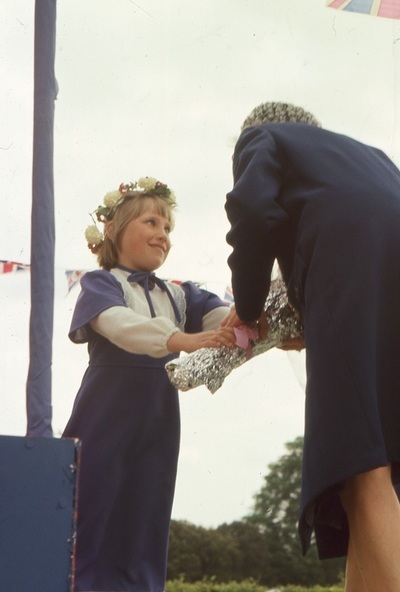 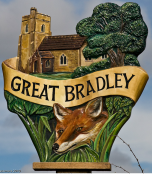 Monday, 6th June brought unseasonal weather for the children's sports but, despite this, an enthusiastic crowd of competitors and supporters turned up on Clarendale Green to encourage and participate. 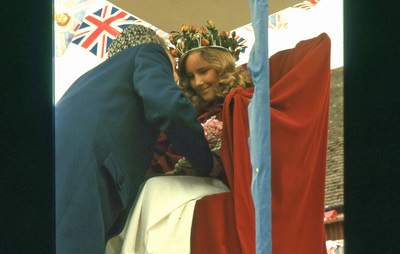 After a full programme, which included races for parents, prizes of Jubilee Crowns, Pens and Pencils were awarded. Later in the day, a Tea Party and Whist Drive was held in the Village Hall for about 30 senior villagers. 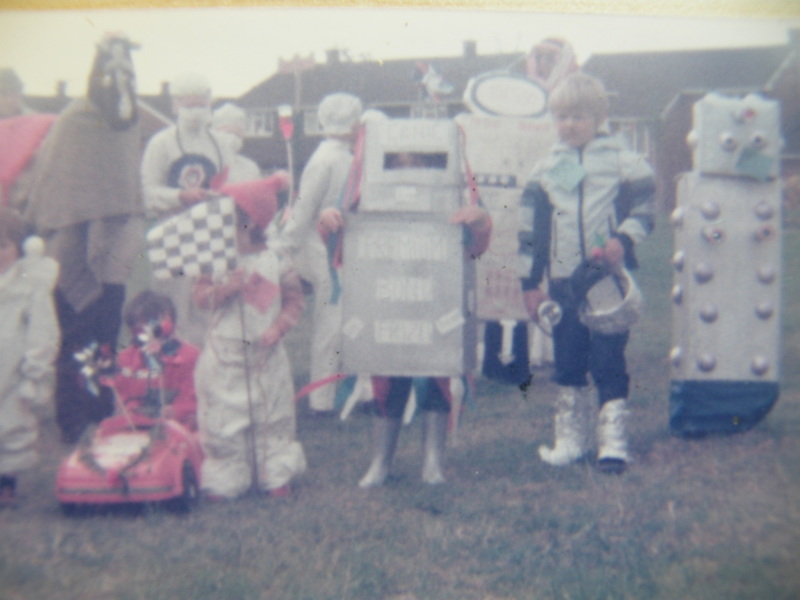 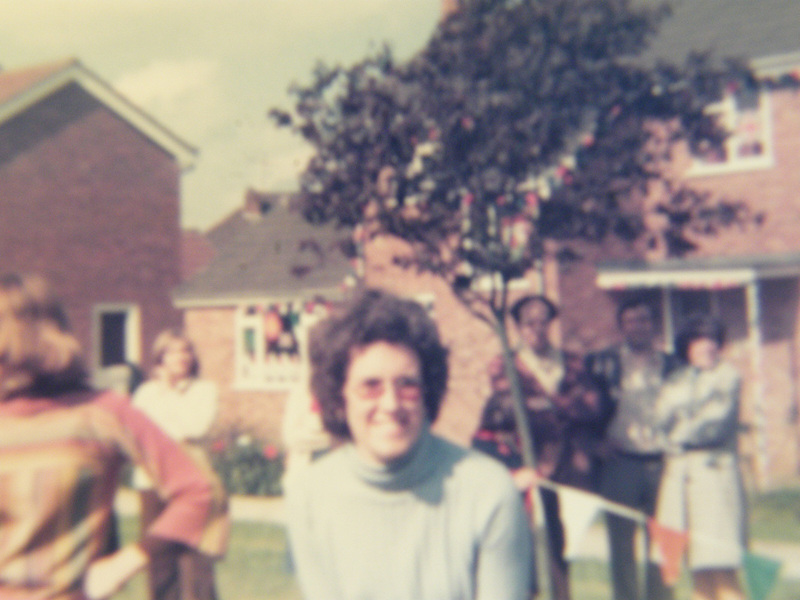 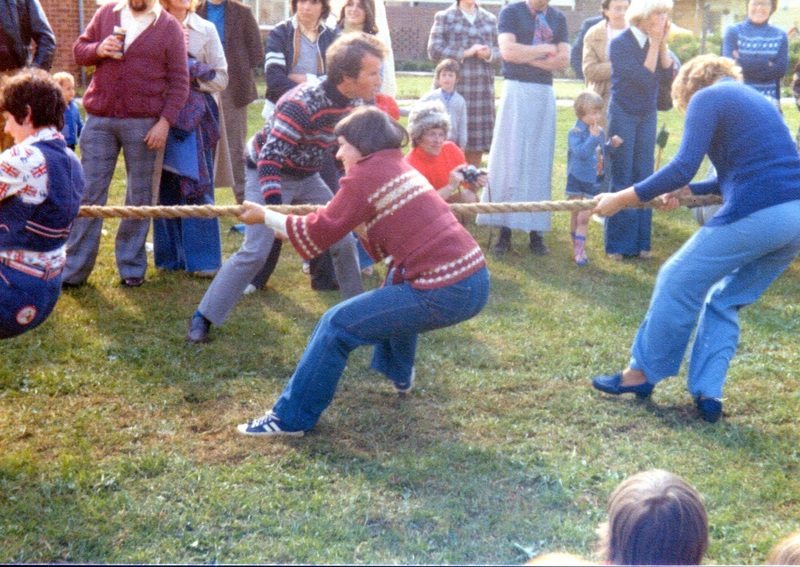 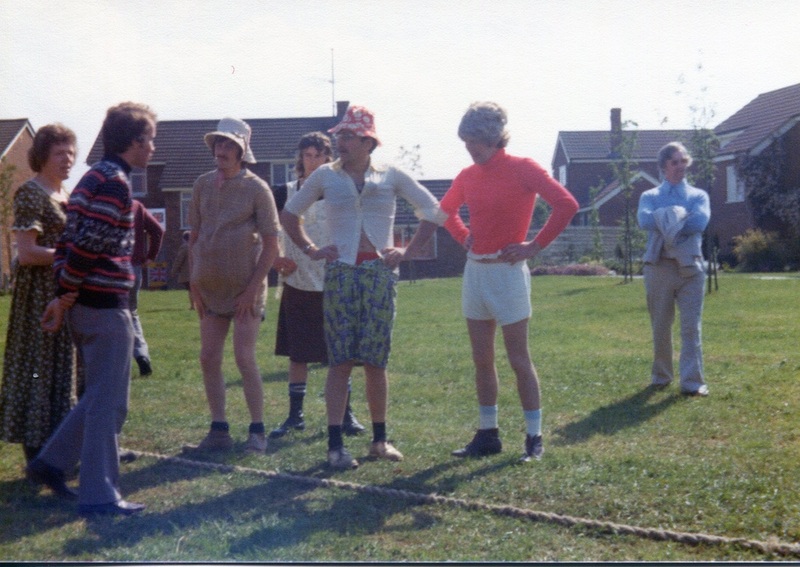 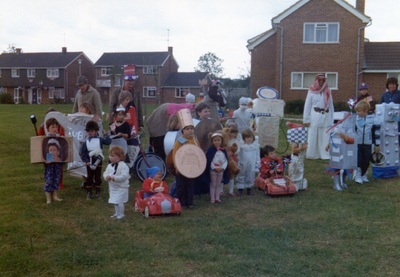 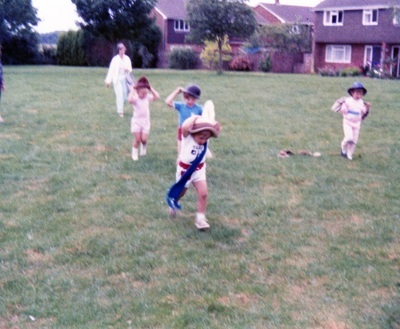 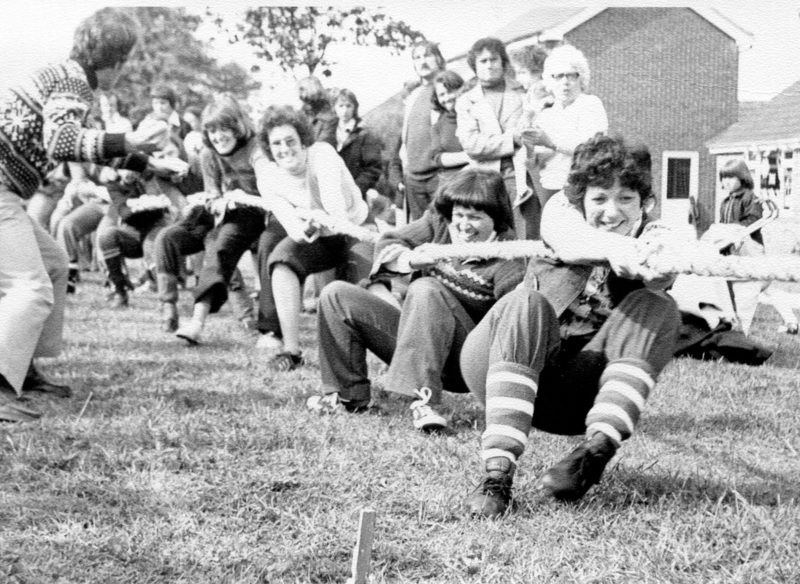 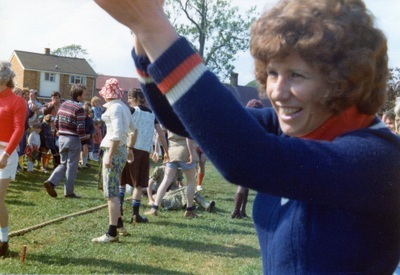 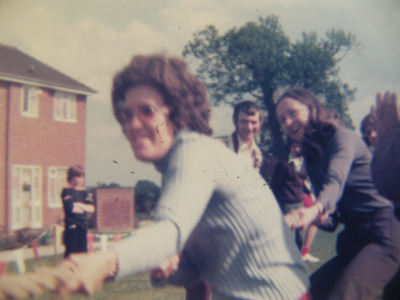 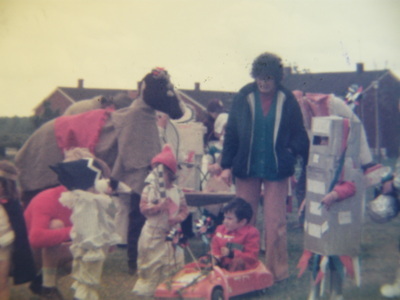 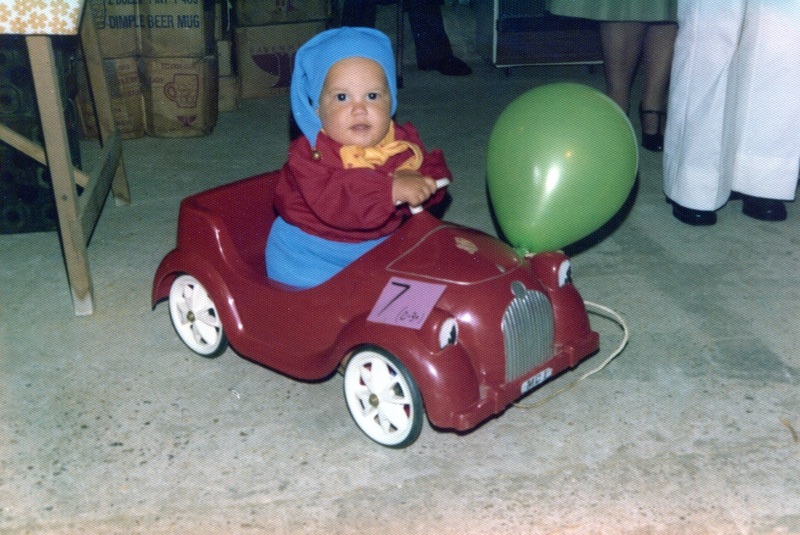 After the judging of the Fancy Dress, the entrants paraded with a large proportion of villagers to Clarendale Green for the Tug of War competition. 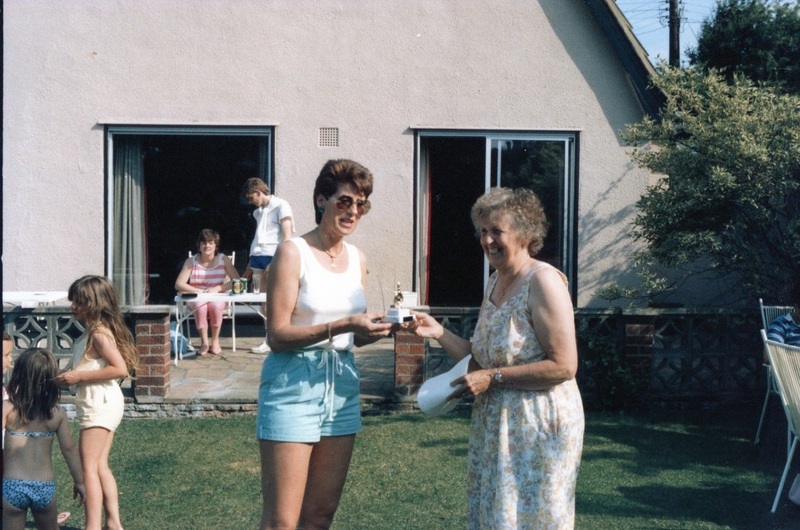 This proved to be a similarly colourful occasion for which the sun shone and, after what proved to be some not-too-serious rounds, commemorative trophies were presented to the winners. 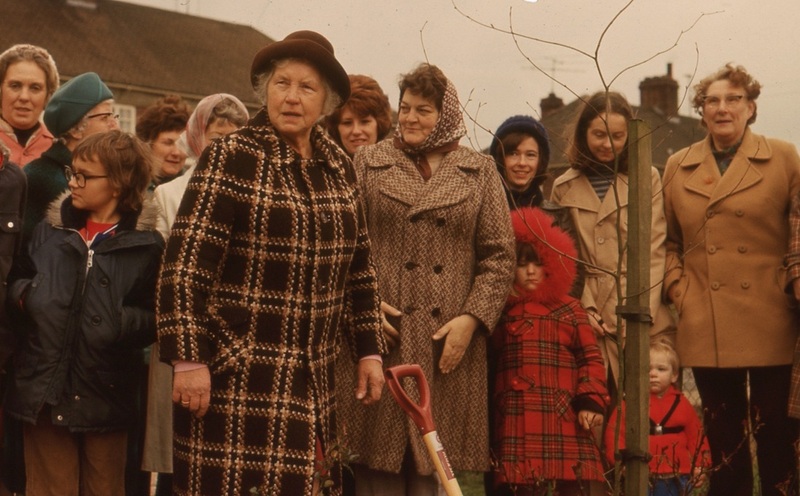 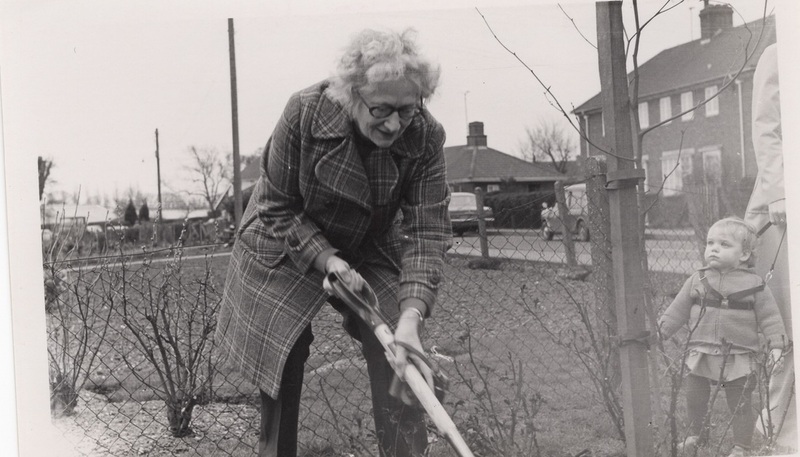 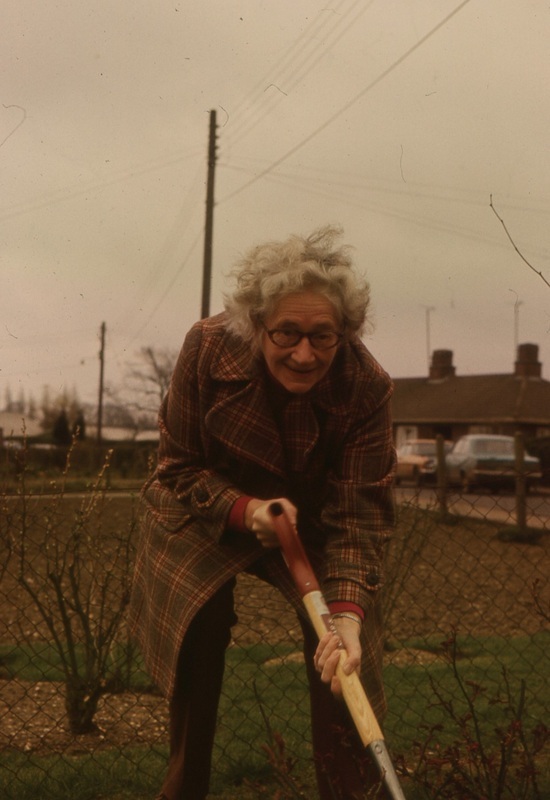 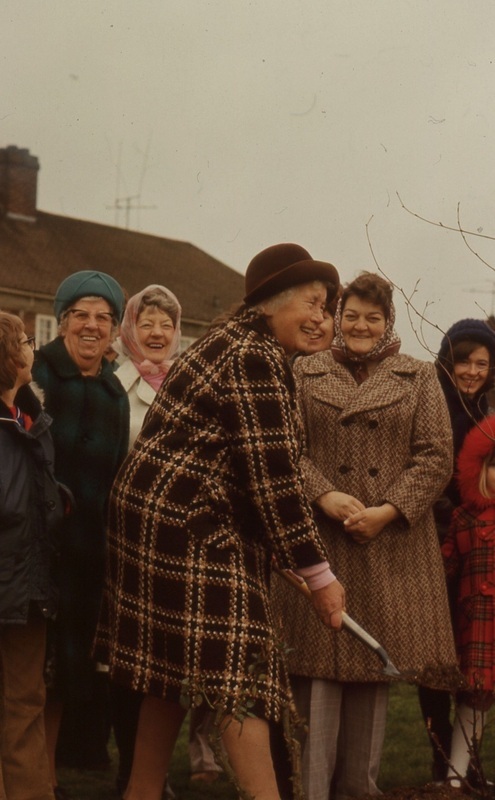 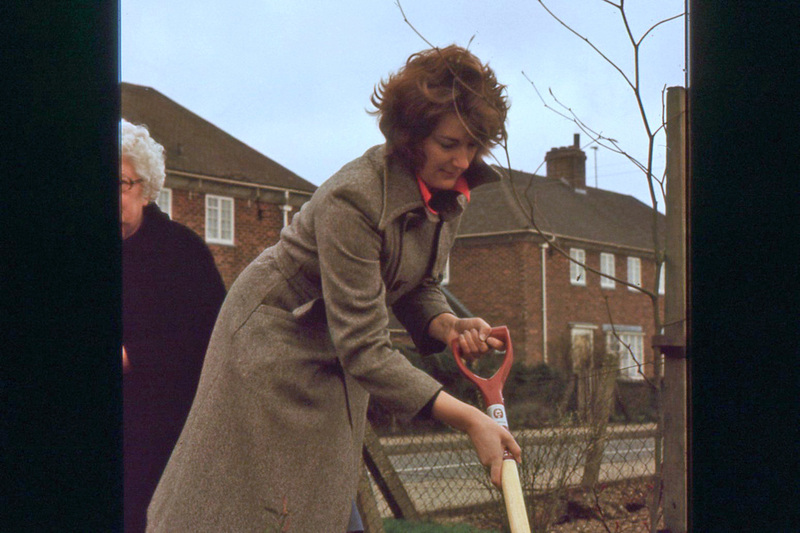 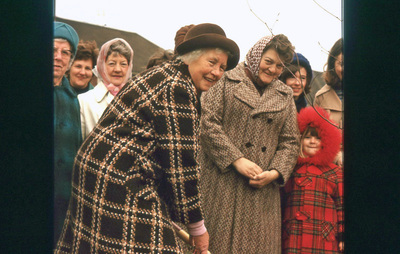 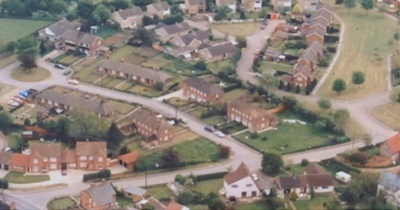 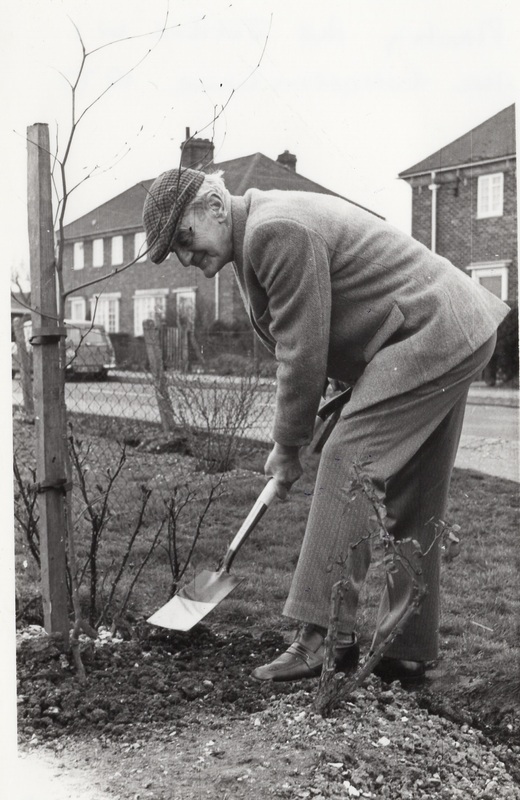 Maisie Martin, who lived at Matthew's Farm led the idea to plant trees in a vacant plot of land at the corner of Evergreen Lane & Matthew's Lane to celebrate the Silver Jubilee. 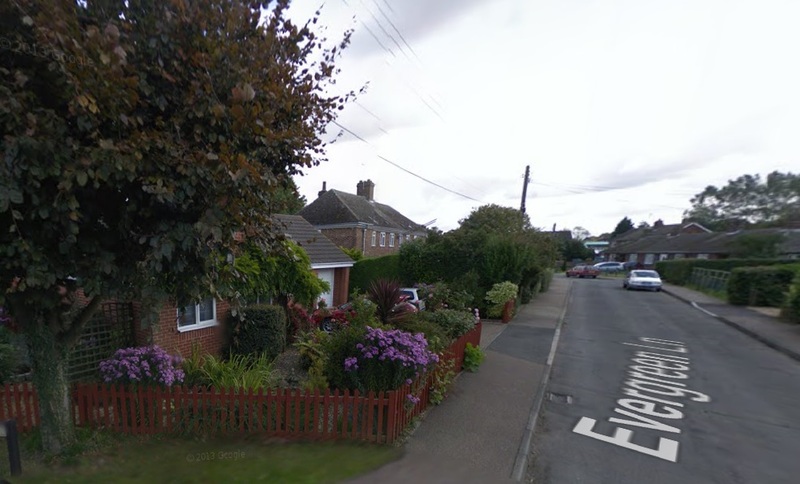 The land now has a bungalow on it. 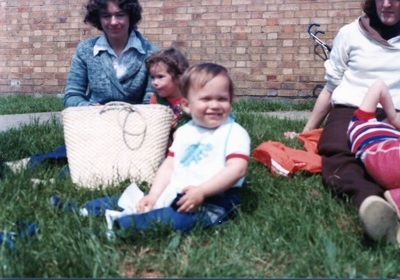 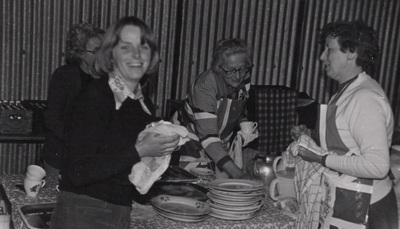 Rear: Rose Potter in green hat; ?, Mrs Seerle in white headscarf; Gill Dunn, Jackie Sands, Anne Harris, Molly Pamplin (who ran the shop in Thurlow); daughter of Anne Harris Front: Paul Rowlinson, Maisy Martin, Yvonne Goody, Sarah Felton (nee Goody); ? The picture below shows the plot of land at the corner of Evergreen Lane & Matthew's Lane that was called Jubilee Garden, and as it is now.